The 14th Annual Beacon Awards, showcasing some of Miami-Dade’s best businesses, is only a month away. The annual awards ceremony, to be held May 4 at the Hilton Miami Downtown, help promote the One Community One Goal initiative to diversify the local economy, provide higher-paying jobs by highlighting Miami companies that have created jobs and invested in our local economy in a significant way. Here is a preview of some of the winners. Freebee provides a fun, alternative transportation option. 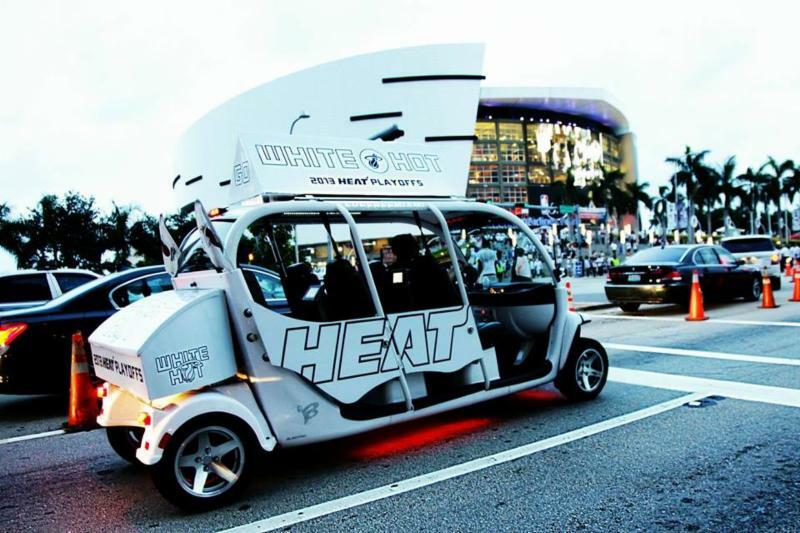 The company provides free rides on electric, open-air vehicles resembling oversized golf carts called “Freebees”. They provide rides on routes in popular, high-traffic areas, and are outfitted with mini HD televisions and audio systems. Each car also is branded with national and local business marketing campaigns. Last year the company added 21 new jobs including Business Development, Operations and Logistics, Fleet Maintenance Manager, and specialized Brand Ambassadors. The company is being entrepreneurial about addressing one of our community’s most pressing challenges – traffic. FEAM is a MRO (Maintenance, Repair, Overhaul) company providing aircraft line maintenance services to a variety of domestic and international air carriers flying transport category aircraft. The company has maintenance bases in about a dozen U.S. locations including its headquarters at Miami International Airport. The company also has a presence at U.S. military bases. They employ approximately 500 aircraft mechanics/line maintenance engineers throughout the system. The company is providing specialized training to its employees in order to work with international airlines. 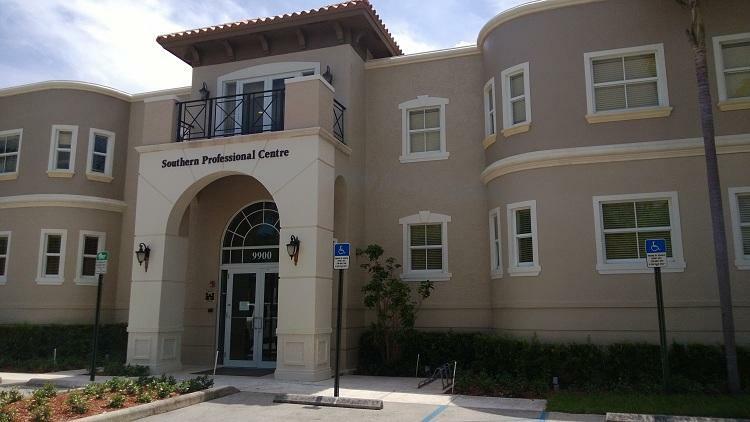 Ocean Bank is a leading commercial real estate and construction lender in Miami-Dade County. With $3.3 billion in assets, it is Florida’s largest independently owned state chartered bank. Ocean Bank operates 21 offices, 17 in Miami-Dade, and four in Broward. The bank initially grew to prominence providing banking services to the Spanish-speaking community. It is well established as a prominent player in real estate and commercial lending. The company has recapitalized and has helped finance many local developments. NBCUniversal is the leading media company reaching over 90 percent of Hispanics in the U.S. every month, in English and Spanish, across all its video platforms. NBCUniversal Telemundo Enterprises encompasses the company’s Hispanic franchises and all of its Hispanic content efforts including TELEMUNDO, a Spanish-language television network reaching 94 percent of Hispanic TV households; Telemundo Studios, the leading producer of original Spanish-language primetime content in the U.S.; the Telemundo Station Group, reaching U.S. Hispanic viewers in 210 markets; NBC UNIVERSO, a modern general entertainment cable channel for Latinos; Telemundo International, the second largest distributor of Spanish-language content in the world; and its Digital Media unit, which creates and distributes original content across digital and emerging platforms. The company is investing more than $250 million in its new Miami-Dade global headquarters and is expected to add 150 new direct jobs. Please join us to celebrate these great companies and the close to 100 nominated companies at the Beacon Awards. Stay tuned next week for more previews. The Collectif Cooperation Export Martinique (CCEM) established a trade office at the Miami Free Zone to promote products from the French Caribbean island in Miami. The grand opening of the trade office was held on March 15. Miami-Dade County Commissioner Jose “Pepe” Diaz and Chairman of the International Trade Consortium (ITC) welcomed guests and noted that the county had been working with CCEM and Extreme Chic from Martinique for several years on this project. “I look forward growing this partnership,” Commissioner Diaz said. Attendees included representatives from the Consulate General of France in Miami, and Pam Fuertes-Berti with The Beacon Council, and other trade organizations. Miami is young, diverse and scrappy when it comes to Tech. That was the consensus at the State of Miami’s Tech Hub event held March 30. 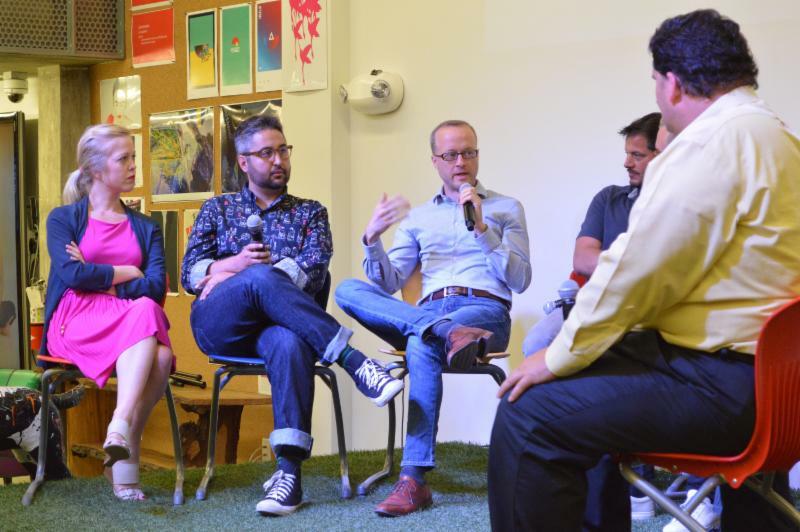 The Beacon Council’s Director of Economic Development, Lyndi Bowman, served as a panelist for the event that took place in Wynwood at the Miami Ad School and was hosted and moderated by Andrew Quarrie, Founder of Jurnid. Panelists included Brian Breslin, Founder of Refresh Miami; Alexander Sjögren, CTO of YellowPepper; Mario Cruz, Director of Watsco Ventures; Marshall Watt, Co-founder of Coinsetter; Aquiles La Grave, Co-founder of Visibl.io; Ian-Michael Farkas, VP Americas of Local Measure; and David Breitenbach, Co-founder of Cityscape. Hialeah, Miami schools rated among most equitable in the nation for poor students. Every day in Florida, an average of 400-plus jobs are created. Miami-Dade Commission Chair Jean Monestime and the Board of County Commissioners in association with Florida Memorial University presents One Heritage, The State of Black Miami Forum, a community conversation about achieving economic prosperity and improving quality of life. Co-hosted by Commisisoner Barbara Jordan, District 1; Commisioner Audrey M. Edmonson, District 3; Commissioner Dennis C. Moss, District 9; and Miami City Commission Chair Keon Hardemon. 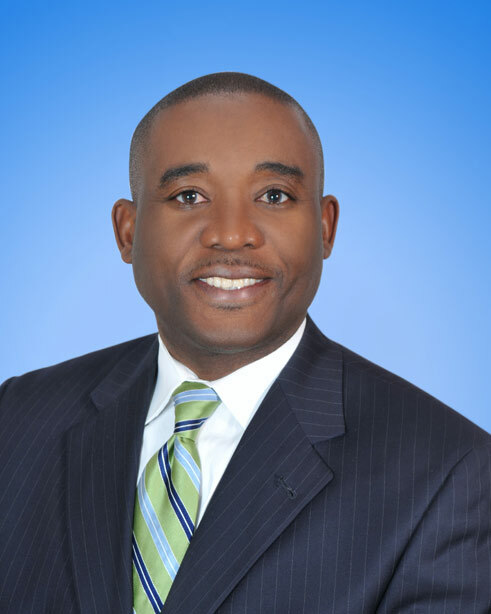 The Beacon Council Chair-Elect Jaret L. Davis, Co-Managing Shareholder of Greenberg Traurig’s Miami office, is one of the 2016 Honorees of the JM Family African American Achievers awards. The Florida State Minority Supplier Development Council (FSMSDC) matches corporate America and government agencies with Minority Business Enterprises in Florida.